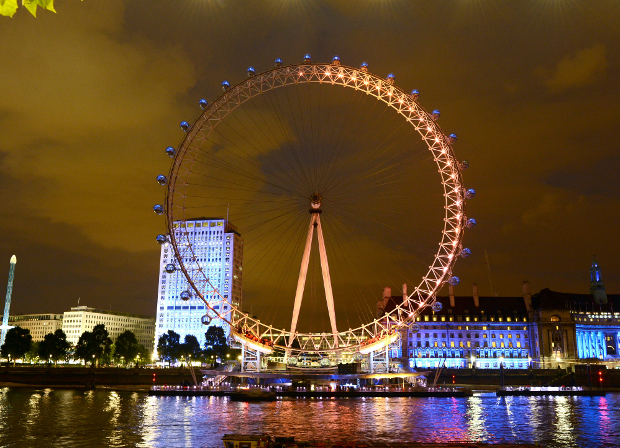 As part of the Olympic celebrations EDF has created a spectacular nightly lightshow on the London Eye, based on the mood of the nation. An algorithm tracks all positive and negative Olympic tweets from the 10 million UK users to give a positivity percentage, which is translated into illumination on the London icon. Visitors can participate in this interactive campaign through digital and social media activity. This fascinating project involved Google partnering with Coca-Cola and Art Director Harvey Gabor, to re-imagine his iconic 70’s “Hilltop” commercial for today’s digital age. The ‘I’d like to buy the world a Coke’ was turned into a reality using Google’s display advertising platform and specially-developed vending machines. In the spirit of the original work, users, via a website or mobile site, could record a message and send it with a Coca-Cola to someone on the other side of the world where it is dispensed from a vending machine along with the message. The lucky recipient can then respond with a text or video message completing the connection. The experiment was used to push the boundaries of how creative idea and technology can work hand-in-hand, and is proof that great ideas really do come first. 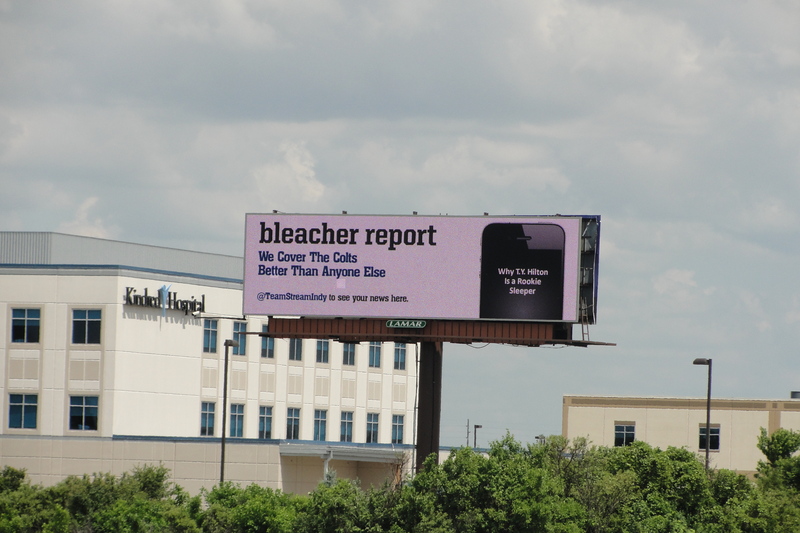 Bleacher Report is posting its real-time Team Stream content on digital billboards allowing sports fans to interact with the content and to choose updates on any team they want by tweeting @bleacherreport. The ground-breaking technology leverages localised twitter handles to provide a custom feed. Prepare for the battle of the fans! One for all of those high-street shoppers, a new offer-based media platform is launching that will offer mobile vouchers in central London via free public Wi-Fi. 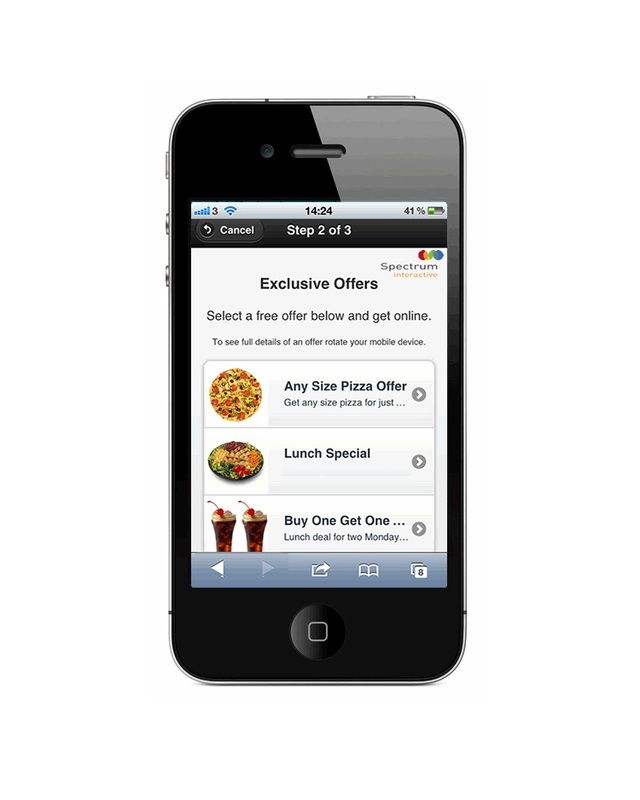 Users will be given free Wi-Fi access in return for selecting a free promotional offer from one of the brand advertising partners; a genuine win-win situation. 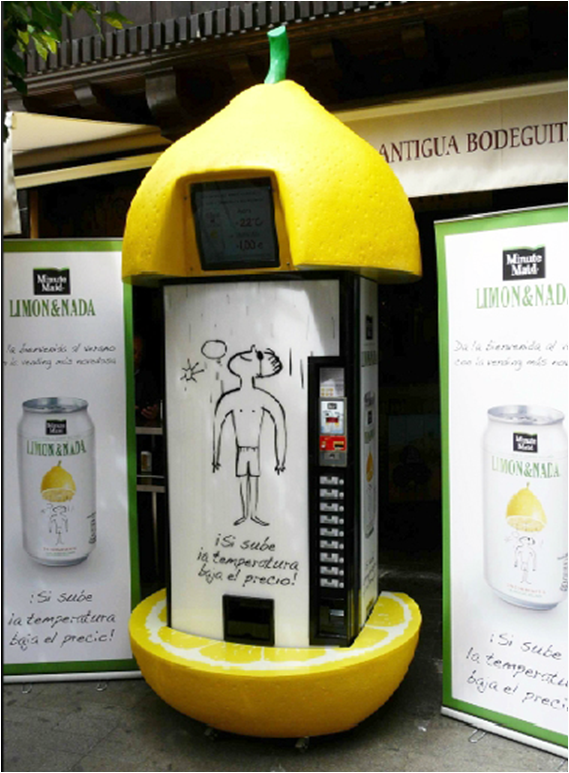 Coca-Cola’s Spanish lemonade brand, Limon & Nada, set up vending machines that offer discounts according to how hot the weather is with the cost of a can ranging from 2€ for temperatures up to 25˚C to 1€ at 30˚C plus. A great way of rewarding consumers when they most need it and in doing so creating brand advocates. There have been several examples of advertisers using vending machines to reward social interaction. One of the latest examples is from Nokia who set up a social machine in the Mall of the Emirates in Dubai that gave gifts in exchange for Foursquare check-ins and NFC interactions. Prizes include sweets, Nokia devices, movie tickets and other goodies, all dispersed when a user shares their check-in. Is this the Future for Street Art? Here’s a modern take on graffiti… Stiktu, a mobile & social app, encourages people to photograph real-world objects, graffiti them virtually on their smartphone and then share them through social media. The app could be used in the future to encourage interaction with posters or even, for brave advertisers, to allow users to add design to ‘blank’ canvases.